Setting Up Groups from GreenRope on Vimeo. 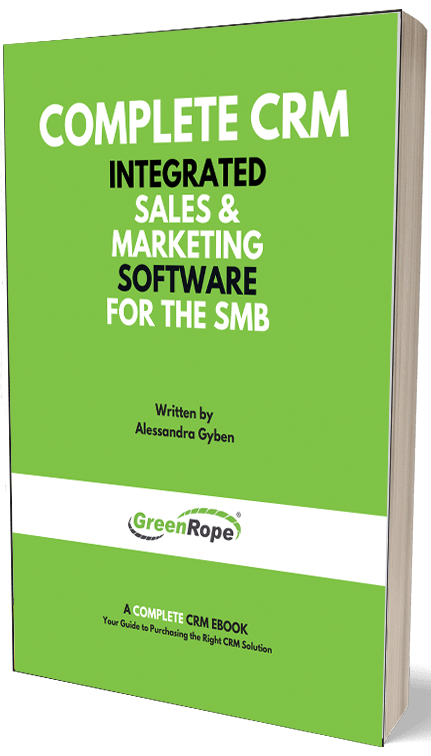 GreenRope is designed to help manage and grow your business, and just like anything else, a solid foundation sets the tone for what is to build on top. So, to help you out, we wanted to outline best practices for setting up your new GreenRope account. Developing the foundation for your business should not be overlooked. Careful planning should be done to ensure the successful setup and implementation of GreenRope. Tip: Draw out your plan on a piece of paper. Visualize how you would like people to flow through your pipeline. When do you want them to receive your emails? Are they in a drip campaign once they sign up on your website? Mapping these things out prior to setting up your GreenRope account will help you build a better foundation once you are ready to dig in. GreenRope is organized by Groups. Each Group can have its own set of contacts, its own website, signup forms, drip campaigns, social media accounts, and more. How integrated you make your groups is up to you. Each Group you create should serve a particular group of contacts. For example, one group may be for new leads, another for you event attendees. If you have regional sales teams, you may want to divide your groups by region. Each group represents a particular segment of your list, whether it is by industry, region, topic, or something else. It is important to understand that every contact in a particular group will be receiving the drip campaigns, emails, etc (unless you use our filters) that you set up in that Group. To setup a group in GreenRope, simply click on the Gear icon to the right of the Group Selector dropdown menu. GreenRope Groups are set up to separate your different business functions. Each group you create serves as a separate entity, although contacts can be shared across multiple groups. Each group has shared access control, so you can control who can do what in each group. Certain elements can be restricted to just groups or account wide. Each group serves as a market segment or lead phase that allows you to create and execute group specific campaigns. Define what your group is, who is it for, and what purpose it serves. Establish your Group name, type, activity, your role, the role of the group members, and more. Next, define whether your Group is Private, Public, or Hidden, and set whether your contacts can login into a Member’s Only area of your GreenRope account. Tip: Click on the question marks to the right of each item to learn more about what each means, and how to set it up properly. Lastly, do not forget to upload a logo for your Group, as well as add in any necessary notes about the group. Once you have completed your group overview and description in the first tab, you should click on the ‘Email Options’ tab. In this section you will use the selected options to optimize your email communication. Once you have this all set up, any one-to-one emails you sent to and from contacts in your email inbox program will automatically show up in your CRM. Google Analytics Integration. You will first have to set up Google Analytics integration in Website > Tracking to enable this feature. Addressee Placeholder: When you send out messages, you can personalize the content for your recipients with various placeholders. One of these placeholders is the , which will place the recipient’s first name in the message. Unfortunately, if someone doesn’t have a first name defined in your database, this is blank unless you write dynamic data rule. The Addressee Placeholder is a shortcut to a commonly used dynamic data rule, which allows you to define what should go in the message if the first name isn’t there. Another great feature that you may want to consider utilizing is the automatic blog digest. GreenRope’s blog digest is a monthly email with summary of blog posts that have been written. This email is automatically generated and sent to all members of your group. Remember: You must include in the email you create. The ‘Event Options’ tab lets you customize your calendar settings for the specified group. If you hold a lot of events for this tab (including meetings, networking events, conference calls, etc) customizing these features is helpful for managing and reminding the group of upcoming events. When and how frequently email reminders are sent to the group for any upcoming events. Activate a forum for group members where they can openly discuss event details. This is a great way to encourage intra-group communication. User-defined fields allow you to store custom data about all of the members of this group. You can name fields whatever you like, and you can set as many fields as needed. When importing/uploading contacts into your account, in the header selection, you may come across headers (fields) that you would like to use but that do not already exist. To create custom headers (fields) you will have to create a new entry in the "User-Defined Data" tab. This can be accomplished by clicking on "+ Add New Custom Field," after which you will be offered 4 kinds of fields to choose from. Select One - the contact can only be set to one value. Specify the possible values in a comma-separated list in the large text box. Select Multiple - this allows the contact to have as many of the values assigned to him as you would like. You can set whether or not you want your contacts to see and edit their user-defined data. If you want to keep that information private (for example, if you didn't want someone to know he or she was classified as a "prospect" in your sales cycle) you can hide it. User-defined fields can be embedded in email messages and contacts can update their own profiles using links in emails they receive if you choose to allow your contacts to edit their user-defined data. Be sure to update the Email Options tab (also here in Group Setup) with the fields you want users to be able to update in their Profile Update links. One of the first things you will want to do after you have setup your Groups is to import your contacts. Make sure that you segment your lists just as you have created your Groups. This will make importing contacts seamless, and get save you from having to manually move people around later. This is the first in a series of GreenRope how-to’s on best practices for setting up and customizing your GreenRope account.